This Thursday the 13th of November marks Kindness Day UK, our British offshoot of World Kindness Day. This holiday originated in 1998 and was brought about by a coalition of NGOs. It is recognised in many countries across the globe including Japan, Australia, Canada, Nigeria, Italy, United Arab Emirates and India. Celebrations for World Kindness Day across the globe have become increasingly extravagant over recent years. In 2009, 45 000 Yellow Flowers were given away in Singapore whilst in Canada a World Kindness Concert is held anually. The goal of World Kindness Day is for humanity to rediscover its "will to give" and for "kindness to become contagious." What better way to get into the spirit of warmth and generosity of this special day than to send flowers to a loved one. The colourful and bountiful Sunny Smiles Bouquet (pictured right) would make for a great choice to surprise someone this Kindness Day UK. Consisting of fresh broad-faced sunflowers, pink germinis and sublime pink roses, this cheerful bouquet perfectly embodies the spirit of the holiday. 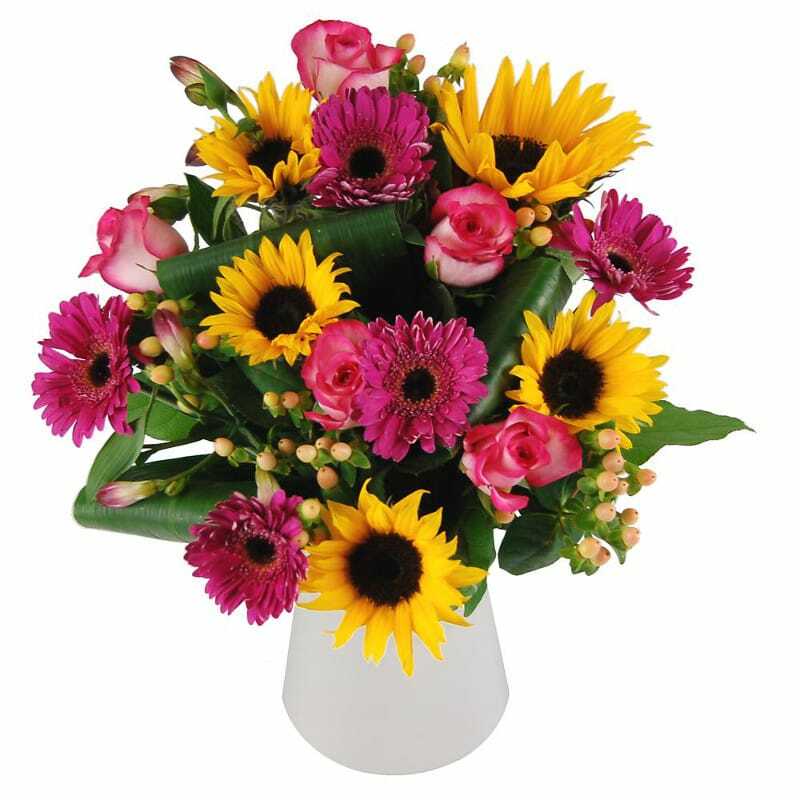 As with all our fresh floral bouquets, the Sunny Smiles Bouquet includes free next day delivery as standard and is delivered in our signature flower delivery box, specially designed to ensure your flowers arrive at their destination in immaculate condition!